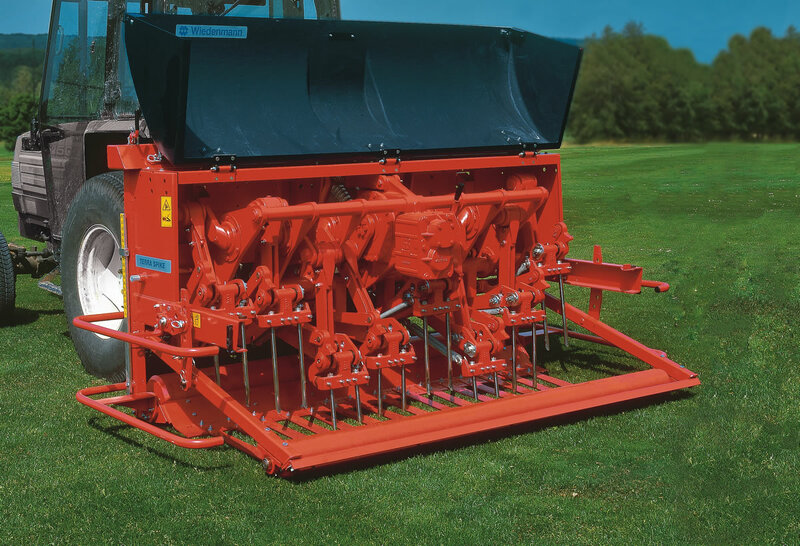 For deep aeration and compaction up to 40 cm depth. The TERRA SPIKE XP is an exceptionally deep aerator which comes in two working widths; the XP6 (1.6 m) and the XP8 (2.1 m). Even with their reach, they still produce excellent neat and tidy work, and are easy to operate and adjust. Optional equipment: Full tines, hollow tines, multi-tine holder, hydraulic rotary brush, swath board, carriage, hydraulic roller brush, hydraulic depth adjustment, ballast weights, lower link extension CAT l & ll, soil probe cpl. If you are interested in our TERRA SPIKE XP use the quick enquiry form below.